We pit the Honor 8X against the Vivo V9 Pro to see which device offers better spceWe pit the Honor 8X against the Vivo V9 Pro to see which device offers better specs on paper. Honor recently launched its Honor 8X in India this month, which is exclusively available via Amazon. The smartphone is equipped with a Kirin 710 octa-core processor and priced at Rs 14,999. On the other hand, we have the Vivo V9 Pro that comes with a price tag of Rs 17,990. The Honor 8X comes with a large 6.5-inch display, while on the other hand, the Vivo V9 pro sports a slightly a smaller 6.3-inch display. So, if you watch a lot of videos on your handset, then the Honor 8X might be a better option for you. Other than that, both devices have an IPS panel and offers a full HD+ resolution. The Honor 8X is equipped with a Kirin 710 octa-core processor, which is paired with 4GB RAM and 64GB internal memory. On the other hand, the Vivo V9 Pro is powered by a Qualcomm Snapdragon 660 octa-core processor, which is paired with 6GB RAM and 64GB internal memory. When it comes to the cameras, the Honor 8X comes with a dual 20MP + 2MP rear camera, while the Vivo V9 Pro features a dual 13MP + 2MP camera setup at the back. On the front, both devices have a 16MP front shooter. 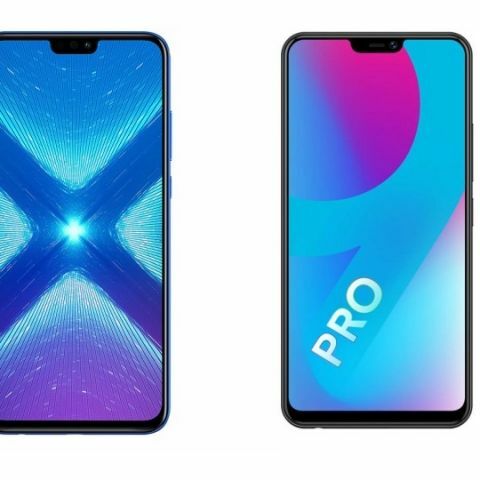 The Vivo V9 Pro is priced at Rs 17,990 on Amazon, while you can get the Honor 8X for Rs 14,999 on the same platform.